The Future of Craft Beer Relies on Independence. As these United States of America prepare for our annual celebration of Independence, one of our most cherished treasures — craft beer from small, independent brewers — is as strong as ever but also threatened like never before. Large multi-national beverage alcohol conglomerates are circling around our industry, their Mergers & Acquisitions departments locked and loaded for the next transaction, engaged in a large scale war to blur the lines and obfuscate the truth behind who is making your beer.  Today, I’m proud to have Freetail Brewing Co. join the Brewers Association to push back against this obfuscation by bearing the seal below, signifying we are a truly INDEPENDENT CRAFT brewery. Independence is the hallmark of the craft brewing industry. It matters to the brewers who make the beer and the beer lovers who drink it. While flavor is always paramount, craft beer drinkers also care about where their hard-earned dollars are going and how the breweries making their beer support the communities they live in. Craft brewers aren’t just some nameless, faceless characters working in a factory somewhere… they are your neighbors and friends, living and playing in your community. Independent brewers are innovators, entrepreneurs, collaborators and philanthropists who took the consolidated, homogenized beer industry of the 1960s and 70s and TURNED IT UPSIDE DOWN to make it what it is today: a diverse mosaic of people, backgrounds, philosophies and ideas. The seal is a simple way to provide clarify on ownership in a marketplace where transparency is demanded. Beer drinkers vote with their purchasing decisions and they have indicated that ownership can drive those decisions. This seal makes it easier for beer lovers to know who is making their beer. The large multinational brewers are not just buying breweries. They are investing in homebrew shops and equipment, beer publications and a bevy of other things we probably don’t even know about yet. In 2016, breweries acquired by large multinationals made approximately 31% of the volume of beer that true, independent craft brewers did. They want to grow these brands (we have two of them here in Texas: Karbach, wholly owned by Anheuser-Busch InBev and Revolver, majority owned by MillerCoors) at the expense small, independent brewers. Their goal is to crowd us off the shelves and off of tap walls to make way for their growing portfolio of formerly independent brands. When this happens, it will be the death knell for independent brewers, their beers and innovation in general. We must resist, and transparency is part of that resistance. Independence matters now more than ever. Support Independent Craft.